Who loves Korean beauty products, hands up! Apparently, the Koreans are 10 years ahead in beauty industry R&D. This is no doubt that more and more Westerns beauty company are slowly investing in the Korean beauty inventions. Take for example the cushion foundation was only popular among the Korean brands. Right now almost every beauty brand has their own version of cushion foundation. You have probably came across the lists of great Korean beauty products, but here, I am going to showcase my list of what I think you should try. Meaning of beauty cult products: Best sellers beauty products that made it to the top of the sale without major advertising. The main sales are driven by the customer's recommendation and word of mouth. If you love Korean beauty and have not heard of Althea before, I would recommend you to check out the online Korean beauty product sellers. What I love about Althea is their service - fast shipment directly shipped from Korea and you will also get a lot of amazing brands which are not available here. For new customers, I have a referral bonus for all of you. You just need to sign up using my referral link <<here>> and you will receive RM35 credit for your first transaction. I won't be earning any commission from your purchase and I won't know what you buy. The only thing I get is 10 points when you make your first purchase. If you're going to shop on Althea anyway, I hope you can support me by using the referral link. 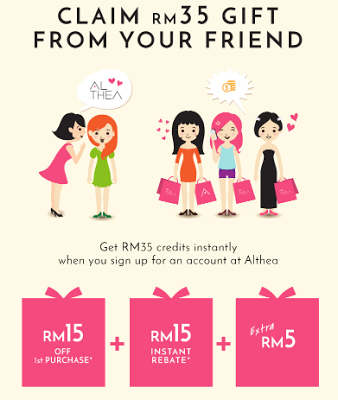 That way I can redeem products from Althea and it will keep my blog sustained. Thank you in advance! On the top of my list would be the Guerisson 9 Complex Cream (or known as horse oil cream). I believe not many people can accept that the product is made of horse oil. After making an extensive research I found out that the horse oil are harvested in a humane way and the production of the face cream is controlled. In terms of the manufacturing ethics, you don't have to worry about using the cream. What I like about it is the after effect. It makes my skin luminous and bouncy in the morning after an overnight application. You can read my review <<here>>. This is a makeup remover. There are a few options available depending on what skin or effect you're looking for. Despite the types, all of them removes makeup like magic. It removes even the toughest waterproof makeup. If you use fake lashes a lot, this will help melt down the eyelash glue without harming your eyelash or eyelid. You can even reuse the fake lashes after cleaning it with the Banila Co Clean It Zero. 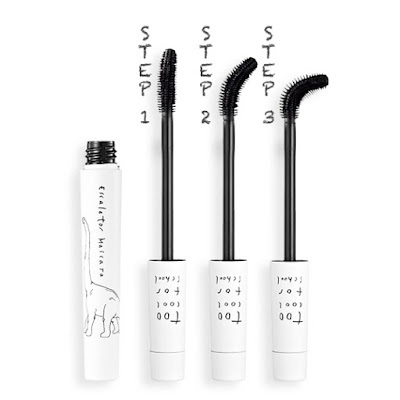 If you need to buy 3 different mascaras for the different effect, you should just buy the Too Cool For School Twisty Tail Mascara. By twisting the end of the cap, the wand bends to 45 degrees and 90 degrees to give you a different dimension. Each of the bend creates different effect on your lashes. With just one mascara, now you can have 3 wands. How cool is that? The Peripera Cushion Blusher is one of the convenient product for traveling that you might want to invest in. The blusher comes in liquid cream form and by pressing the tube, you will deposit the product onto the cushion. Gently tap the cushion on your cheek to create a glowing blush. It is so simple to use and the cushion gives the right amount of product. The blush is also long lasting since it is a cream form and it has a natural effect that makes your cheek look like they glow naturally. Everytime I see the Caolin Hot & Cool Pore Pack it makes me want to sing Katy Perry's song... 'Cos you're hot and you're cold, you're yes and you're no, you're in and you're out... I bet you read that in the rhythm. This Pore Pack is a clay based mask to be applied and rinse off. The "hot" mask opens up the pore while the clay will absorbs the impurities. Meanwhile, the "cold" mask will help reduce the size of the open pore. These masks are meant to be use separately. Alternate the mask different days and slowly see your pores disappear. You probably have seen this weird looking sheet masks everywhere. The packaging is quite deceiving because the real thing isn't as scary as it is. They are normal sheet masks that cut into half but made of rubber instead of the usual paper or cotton masks. The mask is enriched in ampulse and the rubber mask is said to help retain the moisture of the skin and allows the ampules to be absorbed into the skin thoroughly. This is my favourite facial "scrub". What seems to look like a cotton pad, is actually a tripple criss-cross fiber pad that works as exfoliator agent. 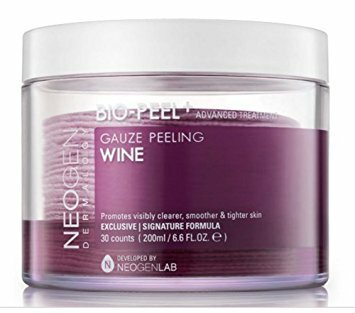 The pad is infused with glycolic acids so you will get two benefits out of this jar - mechanical exfoliant and also chemical peel. The whole process is gentle on the skin and really easy to use. It comes in a few types - green tea, lemon, and my favourite is the wine. 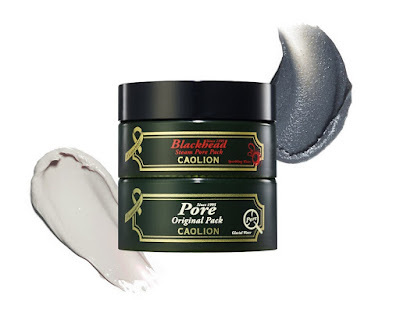 This is pretty similar with the Caolin Hot & Cool Duo Pore Pack but easier to use. It is a straight forward clay mask to be applied after cleansing at least once a week. The clay properties are made of volcanic scoria from the Jeju island. It deeply cleanse your skin and absorbs sebum from the surface of the skin. This mask is perfect for those with excessive acne, oily skin and deep pores. You can read my review <<here>>. The Missha Perfect Cover BB Cream has gained a lot of reputation among Korean celebrities. It gives that porcelain skin effect when applied. It also comes with SPF so you can use it during the day without having to apply another layer of sunscreen. This BB cream was once sold out in Korea and fans had to wait a few months before can get their hands on the product. It comes in 3 shades, which is limited to Asian skintone. If you have darker skin, it may not be suitable. You have heard of snail facial treatment and now you can have it every night at the convenience of your own home. The cream is made of 95% snail mucus which can tighten the skin cells and promote collagen fibers on the depth of the skin. For those who are experiencing face sagging, fine lines and wrinkles, this is a powerful product to improve the skin condition. 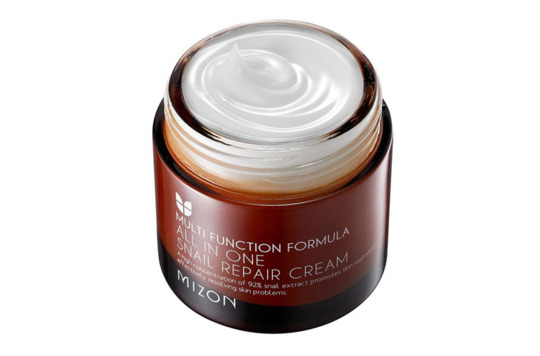 Although it sounds awkward to have snail extracts applied on the skin, it is indeed very effective and the older Korean women are sworn by this product. The eyebrow tattoo is a game changer in the makeup industry. For many years we have been drawing our eyebrows daily and this process will take approximately 11 hours in a year. You can now save that time for more important tasks. 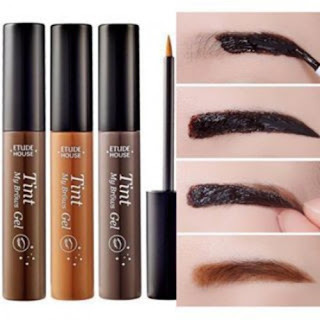 Just apply the Etude House Eyebrow Tattoo for half hour, peel off the product when it is fully dried and voila... you have a pair of natural looking and perfectly shaped eyebrow. You may take a few times to master the product but it is really amazing since it is waterproof and save a lot of your time. Each application last about 3 days. I believe these the products that you will love. There are a lot of amazing K-beauty products in the market and my picks are the above 10. If you have any favourite K-beauty products to recommend to me, make sure you comment below. I will take the effort to try it out.